Are your rights being protected or taken away? What is the purpose of government and what are its limits? Why was the Bill of Rights written? The People's Guide to the United States Constitution is an easy-to-read, spin-free guide to the Constitution, the Bill of Rights and amendments and the Declaration of Independence. This book provides both the essential historical context and important definitions of the language used at the time they were written, so that you can read straight through the original text and gain confidence in your own understanding of the powerful and exciting agreements written to guarantee your freedom. The Constitution is a framework for cooperation. When everyone knows it you'll have millions of people helping to protect your rights in a more harmonious civilization. 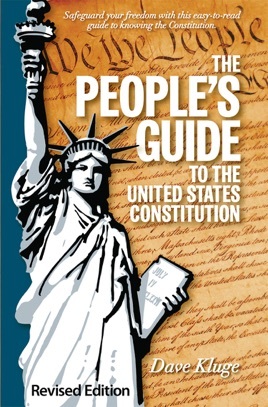 Read The People's Guide to the United States Constitution. Protect your rights by encouraging your friends and elected representatives to read the Constitution.